Uncle O’Grimacey’s blood is a combination of Shamrock Shake and Jameson. 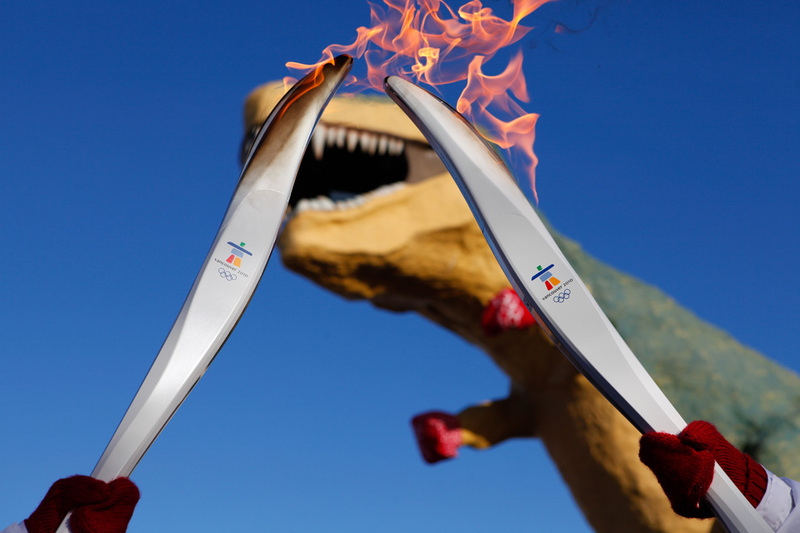 Nothing says “Olympics” like the worlds largest dinosaur statue. See this and other photos of the torch relay at Boston.com. Filmed a year ago, out side of Bull Feeney’s. Be sure to do your best Chris De Burgh impression and keep your eyes on the lady in red. Any scientific theory that has the caveat “requires time travel” is ok in my book. Friends, this is where the school of sock monkey art is headed. In a few years, we’ll all be making Star Wars themed sock based creations. A piece of PEZ from my R2D2 dispenser to the first person who sends me a picture of a Sock Nien Nunb. A bottle of scotch works fine. It’s embalmed me several times. Here’s the new license plate I just ordered! What do you think of it? On a related note: the Maine Bureau of Motor Vehicles hates my freedom. You go try to make a “Support the Troops” license plate with 911HERO on it. Chess is now sporty enough to be covered by Sports Illustrated, and all it took to accomplish this feat was Bobby Fischer’s death. There is one other silver lining to this sad event: Searching for Bobby Fischer just got a whole lot easier. Lastly, this video is how I will honor Mr. Fischer’s final checkmate. Enjoy!